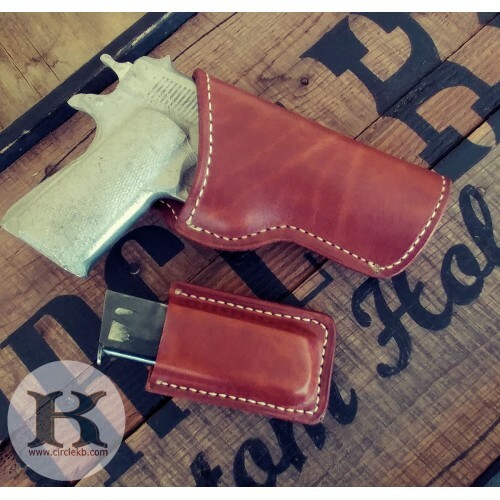 The M1911 Holsters are made to ride on 1-1/2" pant belt unless you need it to fit a wider belt. Just let us know the belt width in your Customer Notes. Select either strong arm or crossdraw. Fully Lined (Premium with 2 layers of leather glued together and lock stitched. Need something you don't see? We have made thousands of in the holsters over the last 20 years and almost none of them are the same as what we display online since you get to build your own rig. 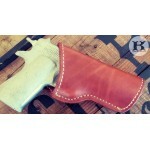 We are truly custom holster makers. Please let us know if you have something in mind that you do not see displayed and we will let you know if we would be right for the job. Payment Payment is made at the time you place your order online unless you have made previous payment arrangements. Orders go into the schedule in the order they are received. 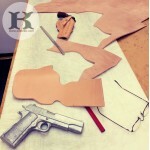 Payment in full is required before leather is cut. You can select PayPal, Credit/Debit or Check payment during web checkout. Please call and place your order directly with us if you need payment arrangements. Our Guarantee 100 % Satisfaction Guaranteed - Hand cut and bench made to your specifications by Maker Brett Park. 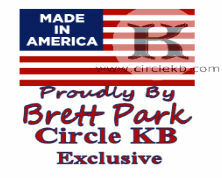 All Circle KB Holsters and Gun belts are fully guaranteed and dutifully created by Maker Brett Park with pride in quality workmanship using only Premium USA Vegetable Tanned Leather. No chrome tanned, uric tanned or factory-dyed leather. Ever. Delivery Information Please allow 10-12 weeks from order date to delivery year round. You will receive an email when your order ships. All Circle KB gunleather is custom handmade by full-time Maker Brett Park. Brett works with multiple orders on his bench in different stages of progress. Orders go to his bench in the order they are received. 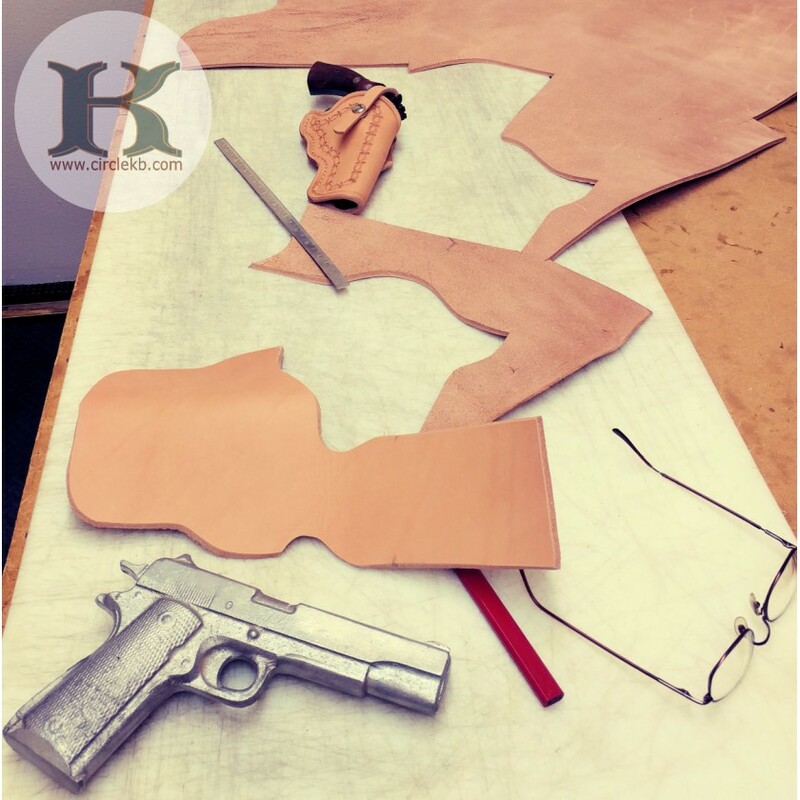 We appreciate being your Maker of choice and your patience as we aim to deliver the finest custom gunleather you will ever use and something that can be appreciated and passed on for generations. Thank you for planning ahead. Measure around yourself over clothes and below your pant belt loops to the middle front. In between? Go up. Don't guess. We build to the specs on your order. Need to correct or modify your order? No problem. Email or call and we will take care of it for you.